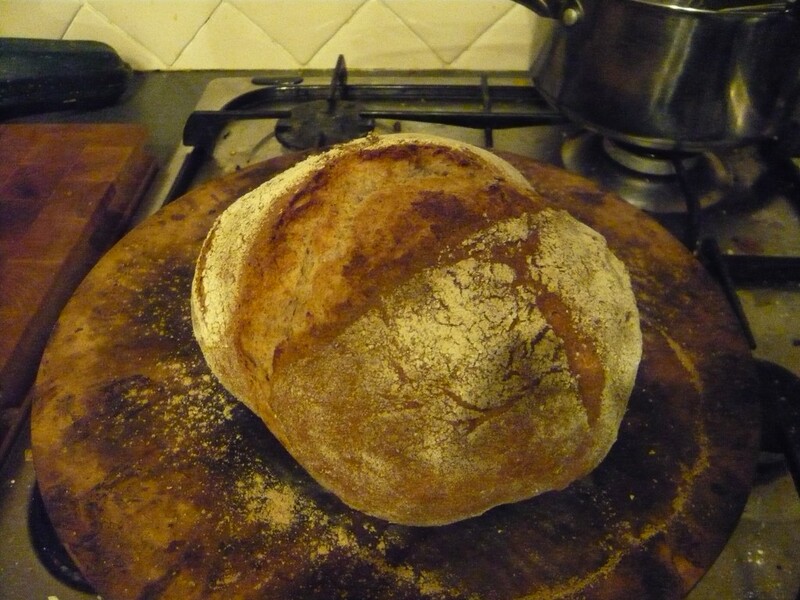 I've been reading an excellent blog about beer and bread which has inspired me to take up proper breadmaking again, rather than using a breadmaker. My colleague lent me this book and I've since made a sourdough starter, where you make a natural leaven from wild yeast floating about in the air, which gives the bread a sour sort of taste. I made my first bread using this as well as a bit of dried yeast and some home brew the other day. Turned out well though I could have let it rise for a little longer - the pizza stone helped it rise I think. 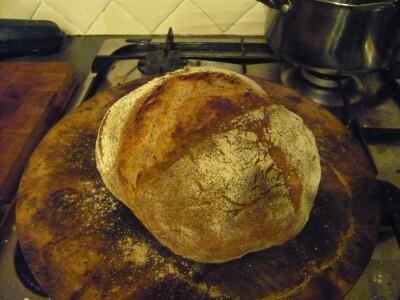 When I have more time I'll try a proper sourdough loaf over the course of a whole day.